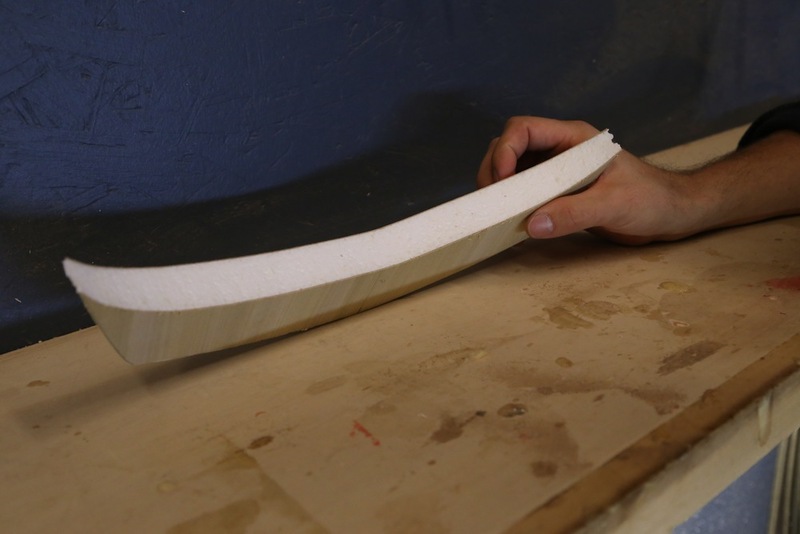 A surfboard is really more akin to a musical instrument than a piece of sports equipment. It can take years to learn to shape a decent board and surfers often become deeply attached to them, unlike say a pair of skis. 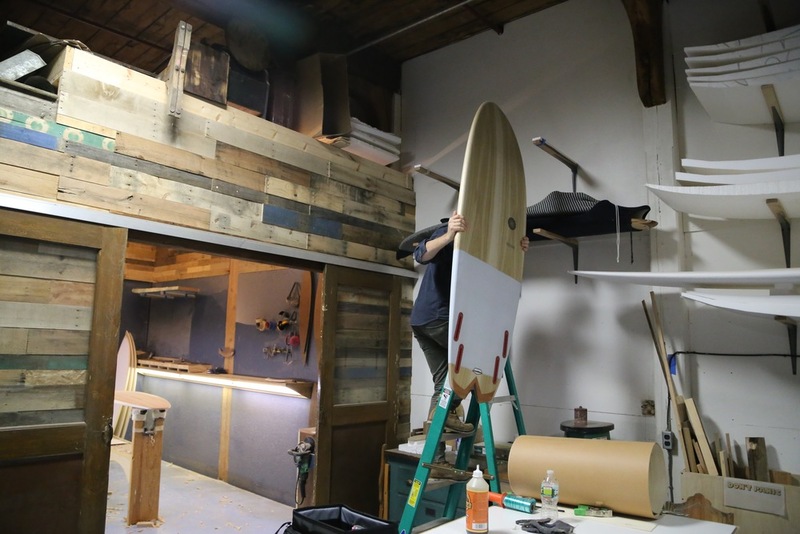 In this way, Kevin Cunningham of Spirare Surfboards is something like a fine luthier. 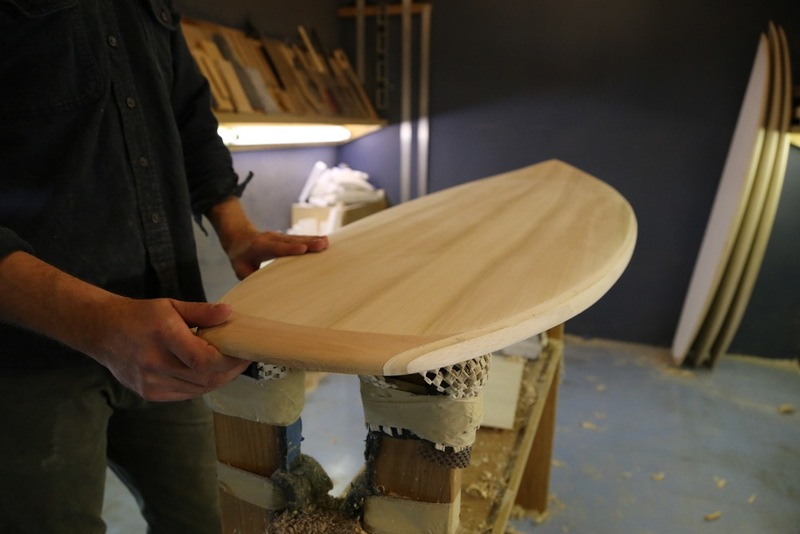 He makes beautiful wooden boards that last for years and are cherished by their owners. This is key to a lot of us surfers because despite its critical marriage to the ocean and the natural world, surfing is not so environmentally friendly. 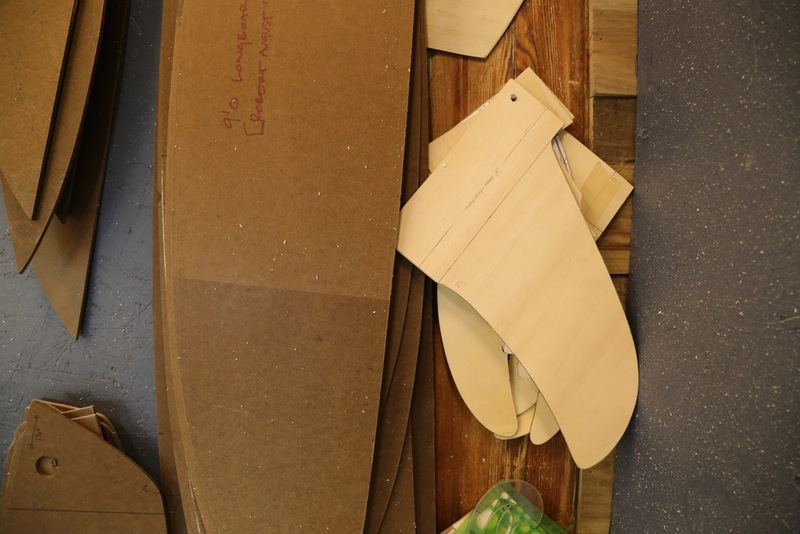 There are the toxic chemicals and materials used to make boards and wetsuits, and there are the many hours spent burning gas while driving around spot-checking for waves. There are a few shapers trying to change this though by making boards from sustainable materials that will also outlast conventional boards. 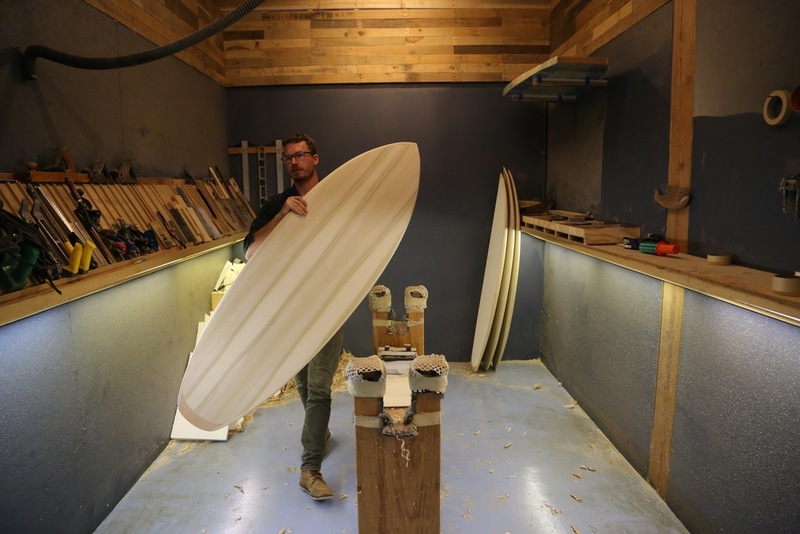 A the top of the list there's Danny Hess of Hess Surfboards, the Wegener brothers (recently profiled in The New York Times) and then there is Kevin Cunningham of Spirare (rhymes with Ferrari). Cunningham has been working on developing his current design for about five years. It’s gone through a few iterations. One involved a honeycomb core, but the cost was super prohibitive (each board would have been around $5,000). He’s settled on a recycled foam core with a laminated wood veneer top and bottom, and wood rails. All the wood is sustainably harvested (poplar, paulownia, etc). The boards are stunningly beautiful. I haven’t surfed one myself though they are right about at the top of my Christmas list and I will own one someday sooner than later. 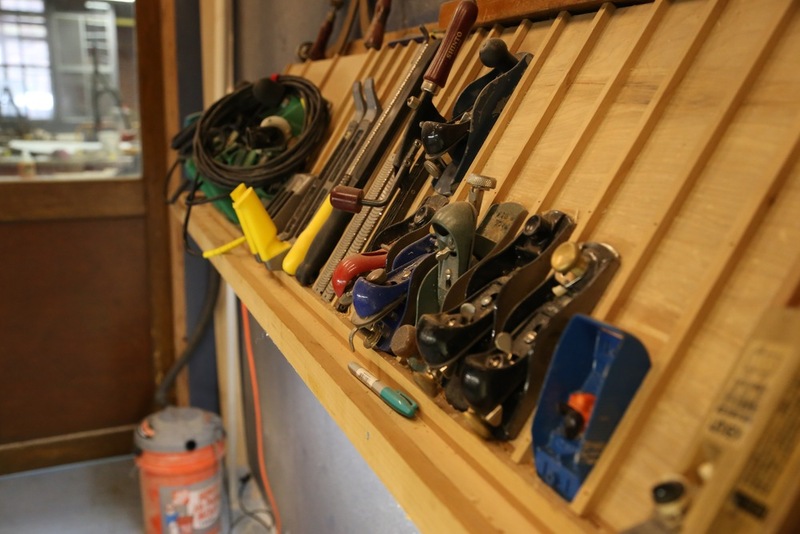 I asked Cunningham if I could visit him in his shop in Providence to chat and take some photos and he said yes without hesitation (even though this blog didn’t have a name or exist yet when I asked). I asked Cunningham what he thinks about when he’s making a board. Cunningham was finishing up four boards the day I visited. Each were destined for far away places and ready to be cherished and surfed for years to come.